More than 2.3 million people worldwide suffer from multiple sclerosis, an immune-mediated disease, developed when the immune system attacks the protective myelin sheath which covers nerve fibers, and leads to communication issues between the brain and the rest of your body. It causes deterioration or permanent damage to the nerves, and until now, there is no cure for it. Moreover, most people suffering from it have a relapsing-remitting disease course. They experience periods of new symptoms or relapses that develop over time and usually improve partially or completely. After these relapses, one experiences quiet periods of disease remission that can last months or even years. Approximately 60 to 70 percent of people with relapsing-remitting MS develop a steady progression of symptoms, with or without periods of remission, a condition which is known as secondary-progressive MS.The worsening of symptoms involves mobility issues and gait. The rate of disease progression varies greatly among people, and some sufferers experience a gradual onset and steady progression of signs and symptoms without any relapses, which is known as primary-progressive MS.
People suffering from it use pharmaceuticals to suppress the immune system, which often come with a myriad of side-effects. However, Dr. Su Metcalfe and her company, LIFNano, are struggling to change this. Su has found a small binary switch which regulates inside the immune cells, and she is currently working with a stem-cell particle called LIF, which can control the cell in order not to attack healthy bodily tissues, while still protecting us and releasing an attack when needed. LIF stem-cell particles are a form of regenerative medicine, which help the repair of tissues and ensure the healthy function of the brain and the spinal cord. Su attempts to reverse the autoimmunity, but at the same time, to repair the brain damage. However, during her research, Su discovered that LIF could only survive for 20-minutes before being broken down by the body, which is too short for the therapeutic actions to deploy. This emphasized the need for nanoparticles. The combination of LIF and nanoparticles is compatible with the body, and slowly dissolves, and the role of the nanoparticles is to administer the LIF over a period of five days. Su explains that the nanoparticle is a protective environment, and the enzymes that break it down are not able to access it. If the particle’s surface is decorated with antibodies, it becomes a homing device that can target specific brain parts of the brain. These particles are a discovery of researchers at Yale University, but LIFNano has the worldwide license to deploy them. Now, Su maintains that we are about to discover some groundbreaking medicine. She says that nano-medicine is a new era, and big Pharma has already entered this space to deliver drugs while trying to avoid the adverse effects. She says that it is an attempt to switch on the body’s own systems of self-tolerance and repair. She adds that auto-immunity happens when that balance has gone a bit awry, and we simply reset that, so when the body becomes self-sustaining, it has restored its balance, and does not need to receive therapy. The potential of LIFNano has already attracted two major funding awards, from drug firm Merck and the Government’s Innovate UK agency, and Su believes it could attract more investments, in order to be able to start clinical trials in 2020. She explains that they have done everything they needed in place to make the nanoparticles in a clinically compliant manner, so they are now looking at VCs and big Pharma since they have a strong interest in this area for the money they need. Their plan is to do their pre-clinical work concurrently while bringing in the major funds the company needs to go forward in its own right. The subject of immune cells has a central part throughout the entire career of Su. She adds that the immune cell is the only single cell in the body that is its own unity, so it functions alone. It is highly powerful and can even kill you, and in case you haven’t got it, you die just because you haven’t got it. 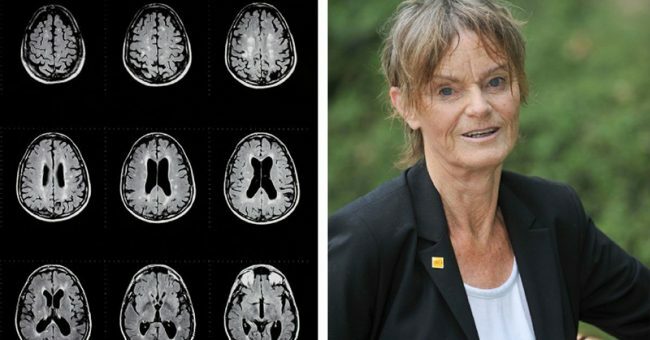 Moreover, she hopes that her findings could contribute to other major autoimmune disease areas, such as psoriasis and diabetes, as well as all the dementias, because LIF is a major health factor for the brain.